Flip a coin. 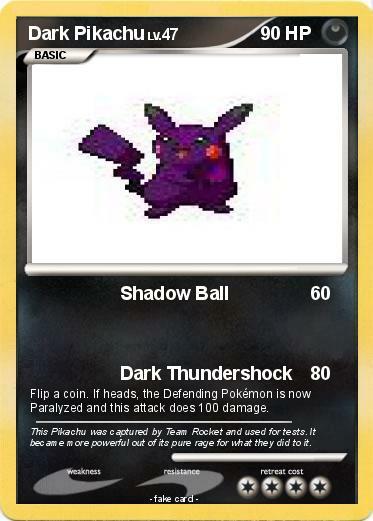 If heads, the Defending Pokémon is now Paralyzed and this attack does 100 damage. Comments : This Pikachu was captured by Team Rocket and used for tests. It became more powerful out of its pure rage for what they did to it.